Ever wondered whether your home is infested with pests? Don’t worry, you’re not the only one. Everybody out there has thought of this at least once as we are all afraid to have our home infested with pests. Due to their small size and ability to live in darkness, pests can live in your home undetected for years, so it comes off as no surprise if you are worried. You, therefore, need to know immediately when your premises are under attack by pests so that you can eradicate them early. If you just sit around and do nothing, these pests can multiply and damage your premises. It will be costlier to remove them when they are well established in your home than to eradicate when you first see them. There are different types of pests around so you need to engage with a company that provides a service that targets that specific pest. If you happen to be dealing with termites, then you will have to look for pest control companies in Singapore as they are specialised in this service, so you can easily solve this problem. 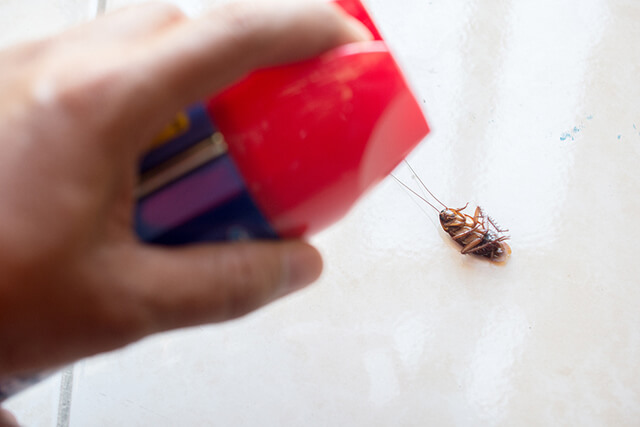 Below are five tips you can use to detect the presence of these troublesome pests in your home. Pests tend to make noises when eating or moving. In a quiet room, you can detect these sounds. However, it is easy to miss this because once pests like cockroaches detect your presence, they will quickly react and become calm. To catch them, you will need to be as stealthy as you can and listen to these sounds attentively so you can catch them at the right time. Pests do not know how to hide their droppings; you can find black particles in various places like on your furniture and floor. The nature of droppings will aid you to know the type of pest you are dealing with. Aside from spotting their pest droppings, these pests also produce odours due to their droppings. Once you have picked up the smell of their droppings, you will be able to find those unnecessary visitors in your home as you have found their hiding grounds. Do a little research on the different types of odours for each possible in your premises and read up about them. With time, you will be able to pick even the faint smell of pest. Some pests will start making a nest to breed. If you see a rodent’s nest or bed bugs’ eggs, this will be a sure way to know your room is infested. However, it may be a little tough to find these nests as pests and insects tend to hide their nests very well. Even so, it doesn’t mean that it is entirely impossible to find them. For rodent’s nests, you will have to look out for grass clippings, shredded paper and leaves and you should also search in less obvious places, typically between walls or underneath flooring. Once the damage is done to your furniture, you shouldn’t be simply taking out your furniture immediately. Rather than do that, you should take this chance to witness the damage that they have caused and identify the pests that are infesting your home. Rodents, for example, can destroy furniture and electric wires. While it is best to detect their presence before damages are done, it cannot be helped if they are already done. However, it just means that you will need to spend a little to fully remove these pests. If termites are the leading cause for your damages, you should get in touch with a company that does termite control at home in Singapore. You cannot entirely eradicate pests in your neighbourhood. However, you can ensure they do not enter your premises. The best way to do this is to detect the early signs of infestation. The above tips will help you know if your home is infested so that you can take the necessary action.